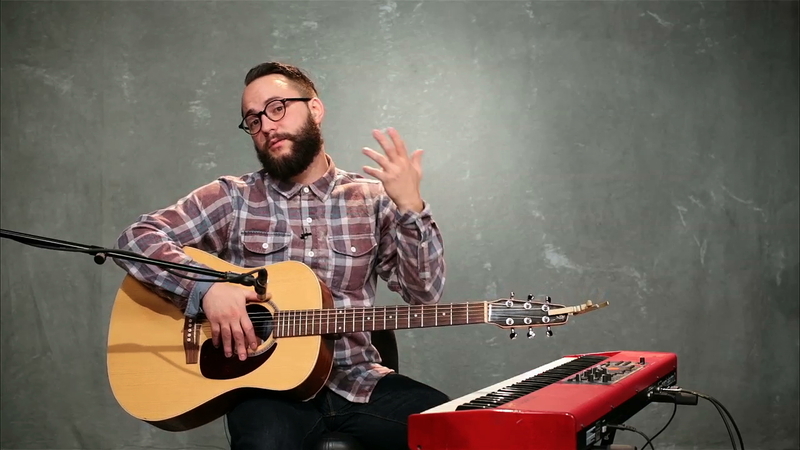 JP teaches about inversions on the acoustic and how to practically incorporate them into a song. Starting in the key of G. We love going back and forth between the 1 and 4. This can be limiting melodically for the leader though. Introducing some inversions can bring inspiration. You don’t have to play every note of the chord every time. Sometimes not playing the full chord lends itself better to the moment. Changing the chord to 1/3 or a 1/5 can add some dimension, tension, and lift to the song. JP demonstrates playing the 1 and the 4 chords and then switching up the base note of the chord. The extra notes lend themselves to inspiring the vocalist, and giving them melodic opportunities. Adding a 7 can sound awesome, but it can also clash. You need to ensure it’s appropriate within the context of a band setting. It can lose the worship feel if you’re not careful. Also, be aware of the melody being sung. If the vocalist is singing a 4th and you play the 7 it’s going to really clash. Everything that you play is intentional. Everything that you don’t play is also intentional.